It was a TOTAL WRAP! How you doin, gentlemen? It’s me again with another task to do. Enjoy this while it lasts peeps..
Learning English can be more fun and way easier with current technologies support. You don’t even need a traditional thick book that you borrowed last week from your campus library. Probably forget about the due date, makes you have to pay the penalty fee if you were late. Well, here I give you some references of software or application that could be useful for your study especially in English. Once I used this for learning particular languages, i.e. Russian, Icelandic, etc. It was quite challenging yet fun. I could say it was fun since there are several entertaining features. You can learn language feels like you were playing games. Memrise is an excellent piece of software for memorizing content, a comprehensive improvement upon flashcards. But it is not the generic and all-purpose learning tool it claims to be. Rosetta Stone is probably one of the best known language learning programs, and the most expensive (about USD 274, which I could afford for some pair of shoes). For the price, you get high quality language lessons that immerse you in English from the beginning. Rosetta Stone does not use any language other than the one you’re learning, and is especially designed to start slow and speed up as you learn for a fast, immersive learning experience. If you’d like to practice your new skills, Rosetta Stone also has an online community and live tutoring for you to use. Play games, speak with other learners in live chat and use the new English skills you just learned to improve even more! Knowledge learned in previous lessons doesn’t carry over enough into later lessons. Clumsy and dated on-screen keyboard for special characters. Games not engaging. Fluenz ranks among the best language-learning software. It distinguishes itself from other notable language apps, particularly Rosetta Stone, by using English instruction and teaching grammar. Videos of real instructors shepherd you through the course, which also includes all the interactive exercises one expects to find in language-learning software. These instructors make Fluenz feel more like a private class than a series of flashcards and games. Finally, if you’re on a budget but need full-featured language-learning software, check your public library (hopefully most well-known campuses in Indonesia at least have one). Many libraries in the US and Canada provide patrons with access to Mango, Transparent, and even Rosetta Stone. Usually, you can access the materials from your home computer by simply authenticating your library membership online, making it an especially convenient option. Babbel is an online language-learning program that costs less than many of its competitors but still manages to deliver quality courses in 13 languages. It exposes new learners to a lot of new vocabulary at once, which may be overwhelming for some, but it then proceeds to review the same words and phrases thoroughly. It teaches through listening and writing more than speaking and reading. Babbel’s program doesn’t provide as much hand-holding as Rosetta Stone does. Yabla’s language selection is similar to that of Fluenz, which offers programs that teach Mandarin Chinese, French, Italian, German, Portuguese, Latin American Spanish, and European Spanish. Yabla covers both Latin American and European Spanish, but they aren’t presented as separate languages. Instead, if you buy a subscription to the Spanish program, you get to decide which accent or dialect you want to hear. You could, for example, decide to watch only videos starring Argentine speakers, or only Spaniards, or a mix of everyone. With Fluenz, you have to pick in advance one or the other. 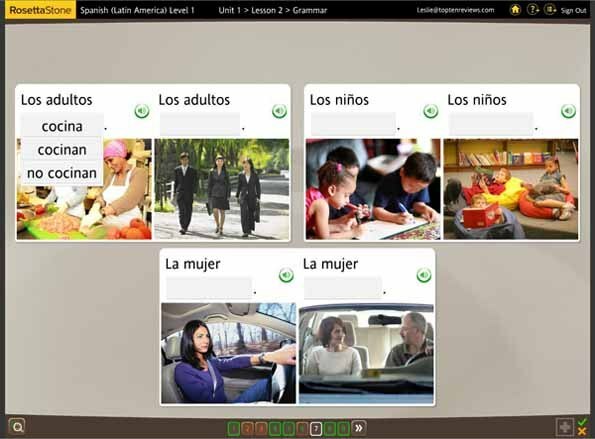 Rosetta Stone offers programs in 28 languages, not counting English, so you’re more likely to find what you need there. Duolingo has ten language programs fully developed and ten more that are in open beta, meaning anyone can use them, but they may contain errors or not as much content as you might hope to find. Babbel, another good online program that’s about as inexpensive as Yabla, has programs in 13 languages. It’s similar with Memrise. Duolingo was the first free language-learning program to rival expensive paid programs. It remains the best free language appyou can find, and our Editors’ Choice. The content is so good that Duolingo ranks among the best software for learning a language overall, even when measured against paid programs. Much of Duolingo’s course development is crowd-sourced, however, and languages that are in beta can sometimes have bugs or errors. That said, Duolingo offers 20 language programs that are fully finished and mature, which is impressive for a completely free service. It has several more language programs in beta and other stages of development. If you need a language-learning program for a language Duolingo doesn’t support, I recommend looking first to Rosetta Stone, which is our Editors’ Choice among paid language-learning software. But if you’re looking to pick up a new language that is in the catalog, I highly recommend using Duolingo and its apps a few minutes every day. It’s great on its own or in conjunction with a class or another paid program. Duolingo has 20 fully developed courses: Danish, Dutch, Esperanto, French, German, Greek, Hebrew, Irish, Italian, Norwegian, Polish, Portuguese, Romanian, Russian, Spanish, Swedish, Turkish, Ukrainian, Vietnamese, and Welsh. These programs are considered very stable.In addition to these languages, Duolingo has several programs that are in beta or “hatching.” Hatching means they are still being developed, and you can see their percent toward completion when you visit the site. As of this writing, the programs in beta are Hungarian and Swahili. The programs that are hatching for the web app are Czech, Hindi, Indonesian, Japanese, Korean, and the fictional language Klingon. If you need to learn a hard-to-find language, there’s a good chance Pimsleur offers it. 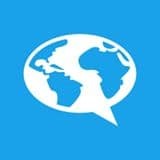 Pimsleur has courses in 49 languages, not counting English: Albanian, Arabic (Eastern), Arabic (Egyptian), Arabic (Modern Standard), Armenian (Eastern), Armenian (Western), Chinese (Cantonese), Chinese (Mandarin), Croatian, Czech, Danish, Dari Persian, Dutch, Farsi Persian, Finnish, French, German, Greek, Haitian Creole, Hebrew, Hindi, Hungarian, Indonesian, Irish, Italian, Japanese, Korean, Lithuanian, Norwegian, Ojibwe, Pashto, Polish, Portuguese (Brazilian), Portuguese (European), Punjabi, Romanian, Russian, Spanish (Latin American), Spanish (Castillian), Swahili, Swedish, Swiss German, Tagalog, Thai, Turkish, Twi, Ukrainian, Urdu, and Vietnamese. If you do go for the digital download option, Pimsleur offers a downloadable Pimsleur Course Manager for both desktop and mobile that helps you keep track of your progress. You can see which lessons you’ve completed and save space on your computer by only downloading the current and next two or three lessons. The iPhone and Android versions of the app, simply called Pimsleur Course Manager, look almost identical. However, the mobile app doesn’t sync with the desktop app, which is a shame. Living Language has been a proven and effective language learning instruction for over 65 years. Using techniques originally developed for the U.S. State Department, the Living Language Method™ follows a four point approach from building a foundation of essential words and phrases, advancing to full sentences and conversations, practicing with recall exercises aimed at both short and long term memory and developing practical language skills to equip the learner in any situation. Living Language is an imprint of Random House LLC, a Penguin Random House Company. EyeSpeak focuses on teaching English and improving verbal and auditory skills through fun. The program has many exercises, vocabulary and games in English, in addition to thousands of recordings of teachers that you can listen to as many times as you want. EyeSpeak has a special voice recognition function that determines if what you say resembles the recordings. FluentU is an online immersion platform that takes real-world videos and turns them into personalized language learning lessons. FluentU uses lots of different kinds of videos that native speakers watch, and is designed to get you comfortable with everyday English. Find clips from movies, cartoons and commercials to inspiring talks, documentaries and vlogs—all organized by level (from complete beginner to native) and category. Every word comes with an image, audio, in-context definition and multiple example sentences. Get the most out of your listening by spending time in FluentU’s unique Learn Mode before or after watching a video. Learn Mode takes your learning history into account, asking questions based on what you already know, which sets you up for success. There are also multimedia flashcards, interactive subtitles, downloadable transcripts and more! Although most programs need you to download something, FluentU is a website you can access from any computer or tablet. Or, you can download the FluentU app to use it on your iPhone or iPad. The eEnglish Learning lessons are among the most affordable, but they’re also the most specific. eEnglish’s Pronunciation Power program helps you learn and improve 52 sounds from the English language. You can take a speech test, which will determine what sounds you need to work on the most. To learn how to pronounce sounds, the program shows you how your lips and tongue should look. You can also check your speech by using your computer’s microphone. eEnglish doesn’t just teach you how to say sounds, it also helps you work on saying full words and sentences correctly, including where to put the stress, timing and rhythm, and intonation (the “music” of the word). If you’re looking for a way to learn pronunciation but don’t want to spend money on a private tutor, this might be the right program for you. Learning a language takes a lot of work, dedication, time, and resources. One company that has been developing a wealth of resources for language learners across a variety of uses, such as business and travel, is Transparent Language. All this dedication shows in its personal online learning program called Transparent Language Online. Language learners will find oodles of content to explore, from flashcard-like drills to alphabet primers and more. Not every activity is a shining star of pedagogical prowess, but the content is exhaustive and gives self-directed learners excellent resources. I say “self-directed” learners because it doesn’t have as much structure as Rosetta Stone, PCMag’s Editors’ Choice among paid programs, or Duolingo, our Editors’ Choice for free programs. Both Rosetta Stone and Duolingo are better at guiding you at exactly what to do each day, whereas with Transparent, the learning schedule is left entirely up to you. But with programs in 60 languages, a plethora of content, and a competitive price, Transparent Language Online is among the best software for learning a language. Exceller is a web-based learning English program to help you perfect the English language and become a better communicator. This program is designed for individuals who already have the basics of the English language down but still want to improve and become more fluent in the language. It uses reading, writing, listening and speaking methods to help you more easily learn English as a second language. Exceller has two options to help you learn. This learning English software’s English Tutor provides a variety of exercises such as multiple choice, reading and writing, reading comprehension, and filling in the blanks to help you gradually become a more advanced English speaker and understand English grammar. The program gives you encouragement for even partially correct answers and offers feedback on the exercises you complete. In case you feel stuck or need help with an exercise, there are hint buttons that can guide you toward the correct answer. The English Tutor option from Exceller is not only available for individual users but also for schools or colleges. You can purchase licenses in bulk if needed. Another option for learning English from Exceller is its numerous apps. This company provides a handful of apps for your mobile devices that help you learn English no matter where you are, as long as you have your mobile device with you. Each app is designed for a different part of the English language, such as reading, vocabulary, present tense, past tense or pronouns. You have to purchase each app separately for help in each specific area. However, this is a nice benefit if you are only looking for lessons targeted toward a certain aspect of the English language. Exceller doesn’t provide tons of customer support options if you have questions or concerns. There are email and telephone options to contact a support representative, but there are no FAQs or other support resources on the company website to answer any additional questions you may have. Exceller provides some strong options for learning English as a second language. If you want some help in only a few areas of the language, the apps are worthwhile, but if you want to become fluent and proficient with English grammar, the Exceller English Tutor is worth your consideration. Who doesn’t recognize this CLASSIC game ever for computer user newbie. I consider this one as a “new-comer” thing to learn how to type fast. Well it still has correlation between this and learning English. SPELLING for sure. Typer Shark! 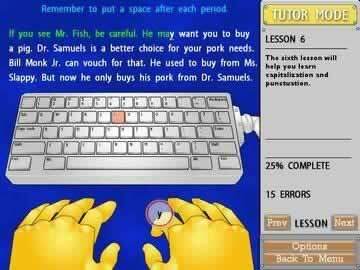 Deluxe actually taught us mostly for 90’s born for typing with our ten fingers. Unfortunately it didn’t work well to me. I barely can’t use all of my ten fingers properly when type on keyboard. Sink your teeth into this action-packed educational adventure. 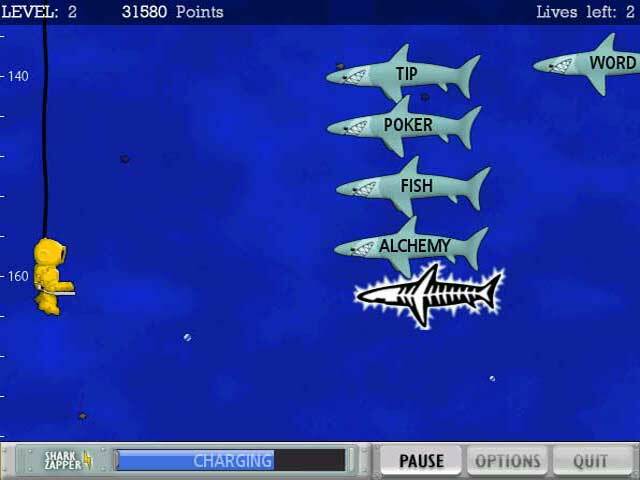 Hungry sharks and piranhas are on the hunt as you SCUBA dive around them. Type words fast to zap the predators… before they turn you into lunch! Lecturer: D. J. Anderson Butarbutar, S.E., S.Kom., M.M. Here comes the most mercurial guy with mostly contain eternally beguiling personal thought ever. NOT LIKE THE MOST Powered by WordPress.com.